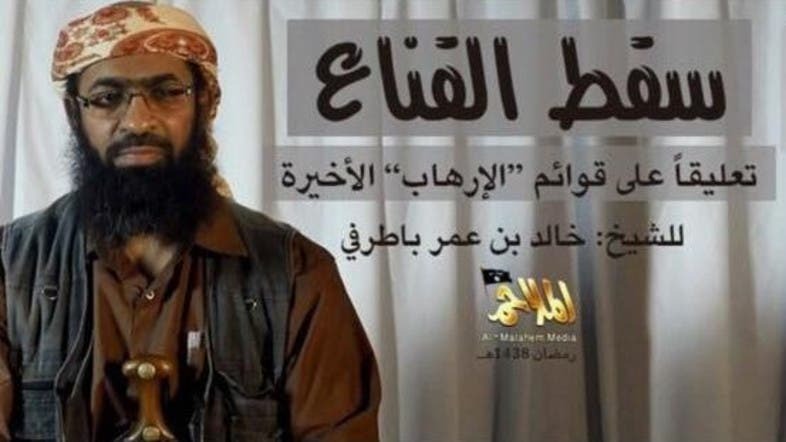 Al-Qaeda in the Arabian Peninsula/Yemen (AQAP) leader Khalid Batarfi described the recently Qatar-linked terror list as a ‘war against Islam and Muslims’. Al-Qaeda has released a new propaganda video condemning the current boycott of Qatar by neighboring Gulf and Arab countries. In a new development that confirms the link between al-Qaeda, the Muslim Brotherhood and the Qatari role in supporting the two, the latest propaganda titled “the mask has fallen,” broadcasted through its media subsidiary “Al-Sahab," condemned the decisions by Saudi Arabia, UAE, Bahrain and Egypt to cut ties with Qatar and rank individuals and designated as terrorists sponsored by Qatar. Al-Qaeda in the Arabian Peninsula/Yemen (AQAP) leader Khalid Batarfi described the recently Qatar-linked terror list as a “war against Islam and Muslims” and called on all scholars, preachers and students of theology and various factions of Islamic movements and groups to “incite and encourage the jihad and dismiss nationalist patriotic sentiment”. “We advise all of those who flattered the tyrants and justified their crime to fear God and regret their actions. The tyrants don’t believe in the channels of communications,” Batarfi said. The link between al-AQAP and the Islah Brotherhood Party was earlier confirmed by the leader Jalal Belaidi al-Marqashi in a statement in which he commented on the joint attacks carried out by al-Qaeda in cooperation with the Muslim Brotherhood on many fronts in Yemen, most notably in the city of Marib. Most of the leaders of AQAP were part of the Muslim Brotherhood and fought side by side in a number of fronts in Yemen. Between 2011-2012 and at the beginning of the so-called Arab Spring, the Brotherhood showed hostile positions to Al-Qaeda, which was a step to lead the political scene in Yemen and access power, but the common relations returned again in 2014. According to a specialist in the affairs of Yemeni Islamist groups and movements, who wished not to be named, the statement from AQAP comes mainly as a guide to Muslim Brotherhood members and to those who object to the inclusion of personalities such as Yusuf al-Qaradawi, Wagdy Ghoneim, Abdel hakim Belhadj and Muhammad al-Mohaisany (all were named in the recent Qatar-linked terror list), considering that “any form of dialogue with the tyrants is a waste of time and they should instead adopt the teaching of the jihad against these tyrants”. The latest issue of Al-Masra weekly issued from Al-Qaeda attacked the countries described as “launching an information campaign against Qatar and its Emir”. They also reported more than one story in the same issue attacking Saudi Arabia and the UAE. A lengthy report in Al-Qaeda newspaper published from the coast of Hadhramaut explained that the campaign on Qatar was the result of the annoyance of some parties with the Qatari role in Yemen and its support for the Muslim Brotherhood.